Thanks all who came out to our first Breakfast in quite a while, we will be back soon, early February likely!!! Come on out this Sunday 9: am for a delicious breakfast in the Springs! A long tradition for this Hall and the surrounding community, the pancake breakfast is a great time to get together with your friends and neighbors at your local Community Hall! Become a member, participate, and make what is already a vibrant, active Hall even better! 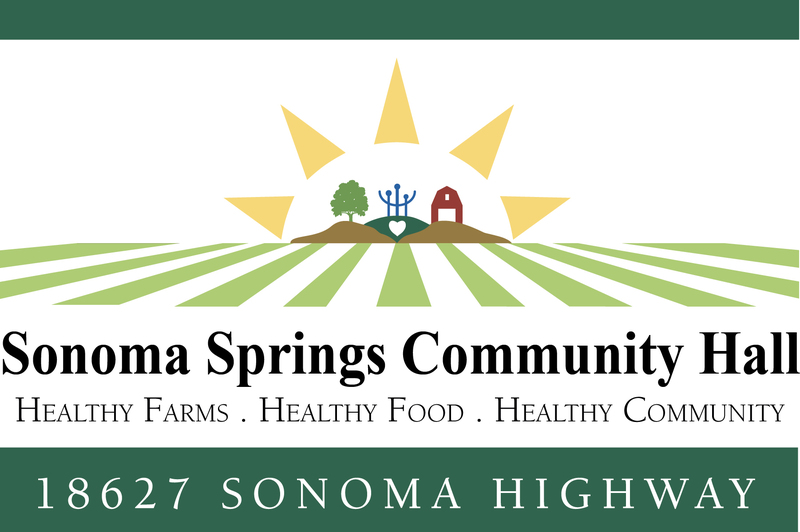 Following the devastating fires that began nearly a month ago, the Springs Hall, in partnership with local chef extraordinaire Sheana Davis of Epicurean Connection, agreed to a two week run as an emergency food distribution center. Food was donated by local and regional chefs, as well as by Facebook corporations kitchen, and provided, literally, thousands of meals over this two week period. This allowed for another opportunity to show the service of the Hall to our community in a time of need. Thank you Sheana, Facebook, all the chefs, and the amazing group of volunteers!!! Together we will recover and rebuild. Now that our renovation is virtually complete (new roof still to come, though), and we’re open for business, it’s time to renew your membership or join for the first time. Membership is $45.00 annually, with a couples rate of $65.00. Your money goes to a good cause — keeping this historic structure open and useful for the Springs community. It’s easy to do. Just download this PDF file, print it, fill it out, and send it in. You will be glad you did. This community space is made possible by all the volunteers who donate their time, energy and skills into making this a local resource that is available for meetings, classes and a whole lot more! For more information and TO RESERVE THE BUILDING, contact: Mario Castillo, springshallmanager@gmail.com.